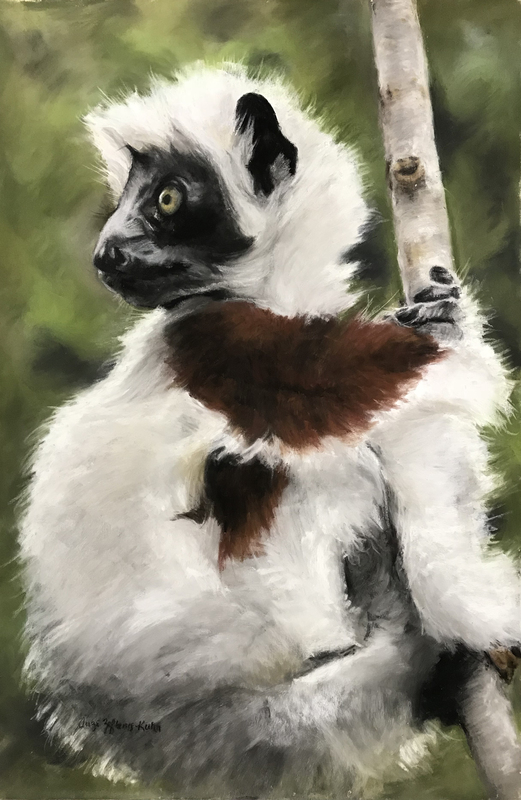 A portrait of a five month old Sifaka Lemur at the Duke Lemur Center, Durham NC. During a walking with the lemurs tour I was able to get some great photo reference of the lemurs in their habitats. Wonderful experience!